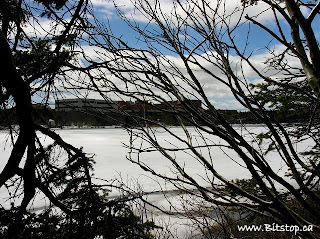 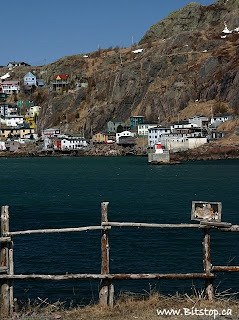 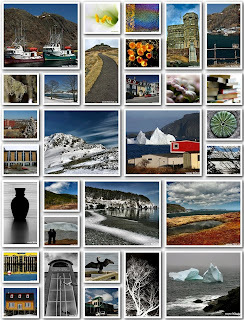 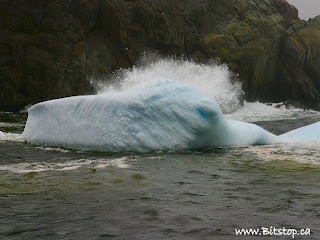 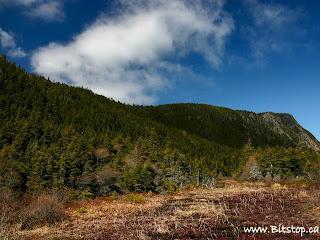 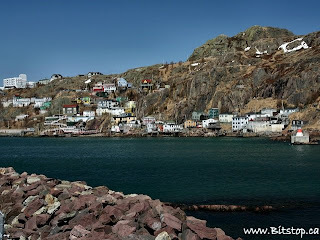 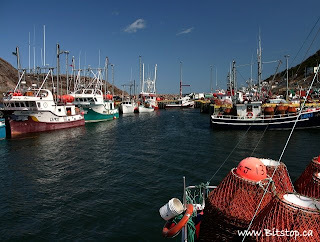 I went back to Quidi Vidi and Cuckold's Cove today to see how the icebergs were doing. 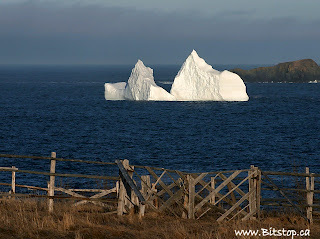 The ones in Cuckold's Cove have moved a bit and another small one has come into view. 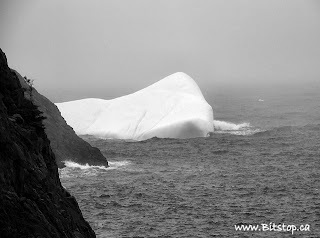 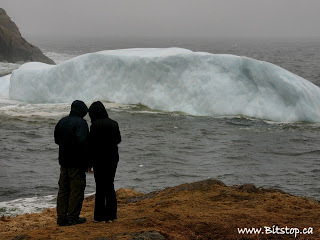 There were several people in both places looking at the icebergs in spite of the cold, wind, rain and fog. 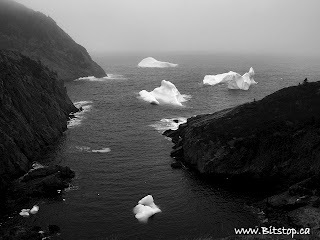 Rain + Drizzle + Fog = Icebergs? 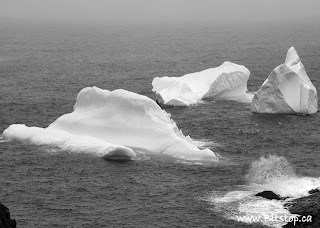 We've had a lot of RDF lately and it's been too foggy to see if there are more icebergs coming close. 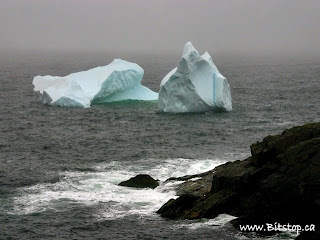 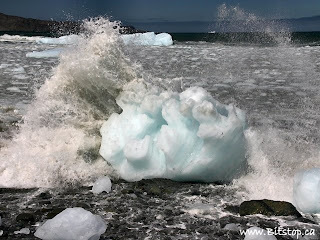 I suspect there are, as the northeast wind that brings the ugly weather will also bring the icebergs. 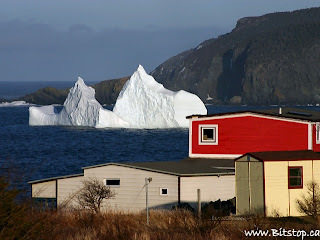 I saw these small icebergs this morning, one in the entrance to Quidi Vidi harbour and the other 2 in Cuckold's Cove nearby. 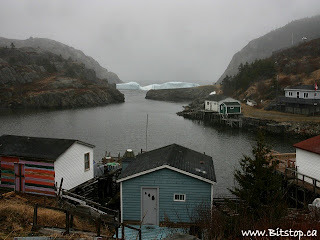 I am hoping that when the fog lifts we'll see a lot more. 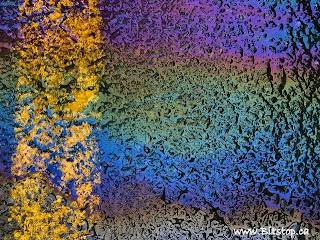 Oil on a parking lot, pretty colours but pollution nonetheless. 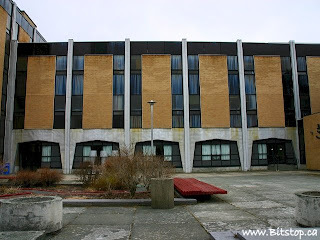 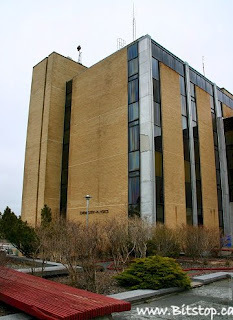 The Chemistry-Physics building at MUN. 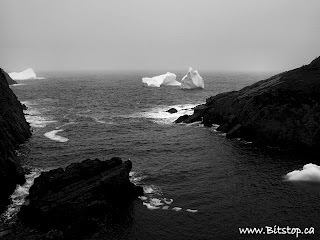 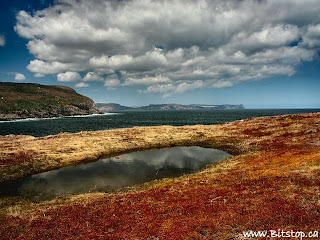 Yesterday when I was at Cape Spear I could see some icebergs in the distance. 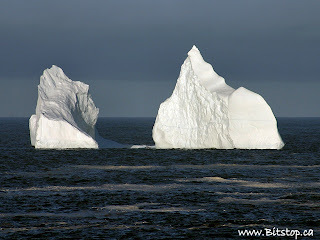 Since the wind was northwest I thought they might get pushed closer to shore overnight so today I went out in search of icebergs. 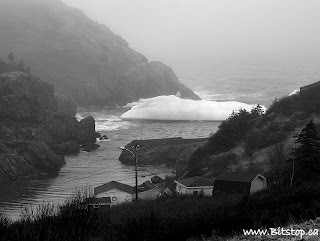 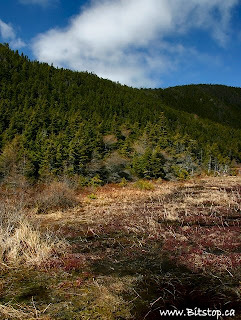 My first stop was Outer Cove. 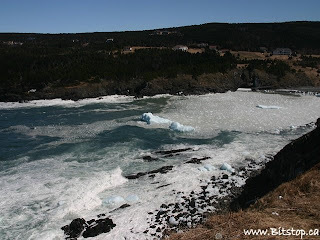 There was a lot of pack ice in the cove but no big icebergs. 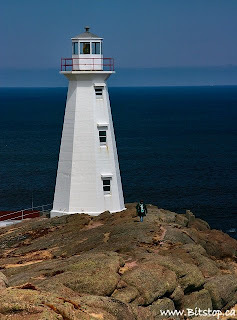 I could see a couple in the distance though. 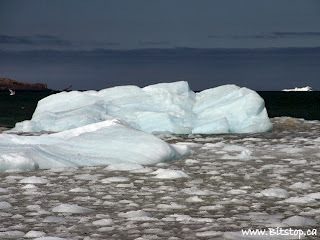 Still, the pack ice and bergy bits made for nice photos. 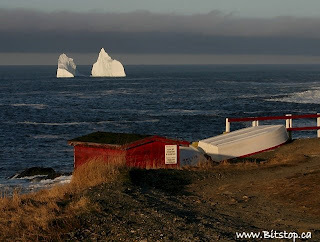 After supper Joe and I went to Pouch Cove where there was a beautiful iceberg near land. 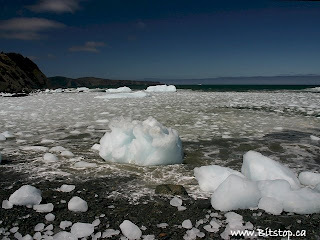 It seems a little early for icebergs but I hope there are more to come. 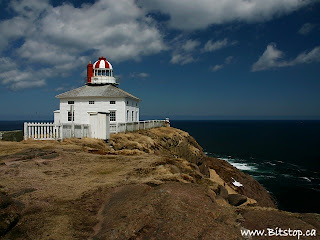 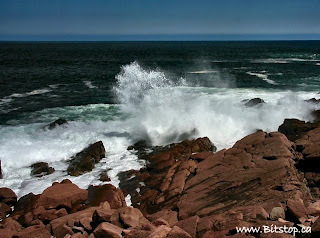 I went to Cape Spear today. 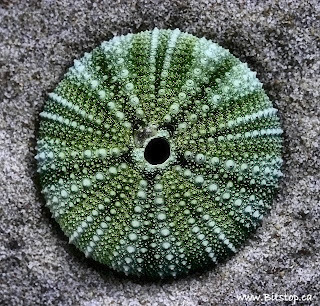 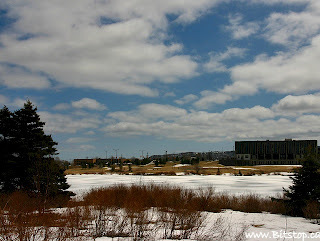 It was about 2ºC with a north-west wind but I hardly noticed it. 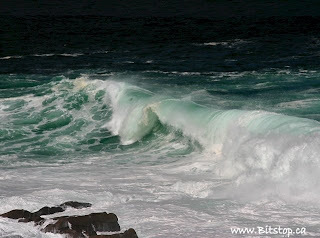 I spent over an hour taking pictures of the waves and walking around. 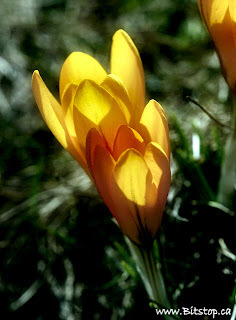 It was a beautiful day and I enjoyed every minute of it. 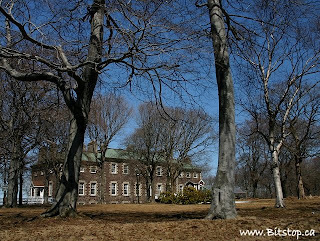 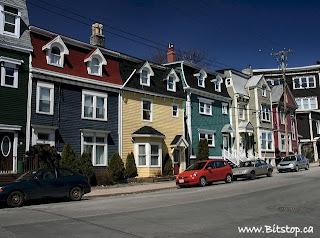 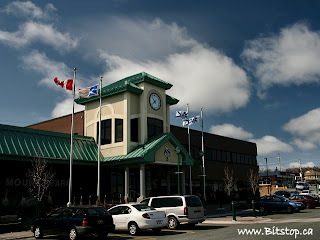 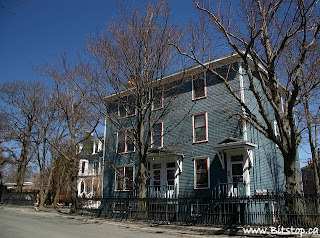 I had to run a few errands in Mount Pearl today and decided to take a photo of their city hall while I was there. 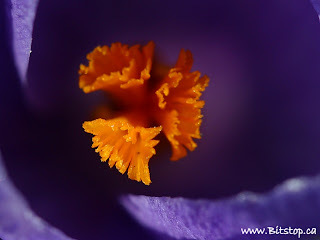 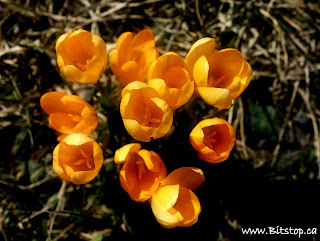 There is still snow around but the crocuses are coming up. 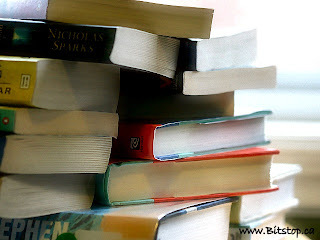 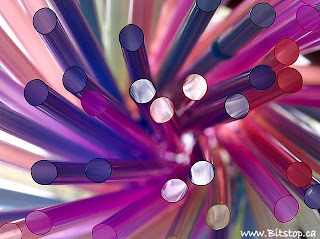 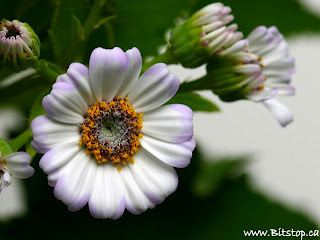 These are not on my front lawn, mine are not up yet. 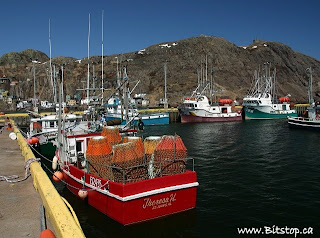 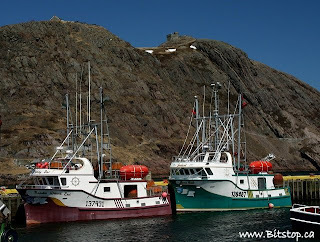 The fishing boats are so colourful and look ever brighter on a cloudless day. 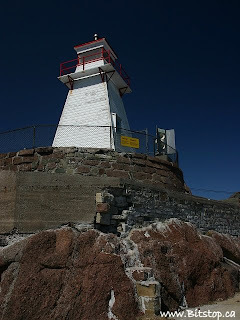 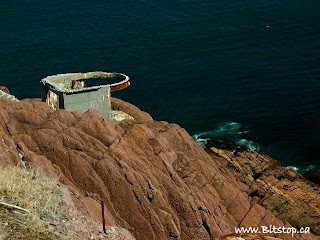 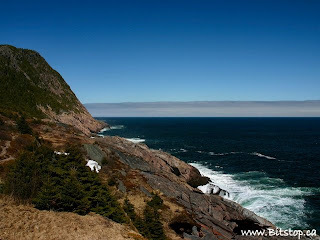 I walked to Fort Amherst today, it was 15ºC, a beautiful day. 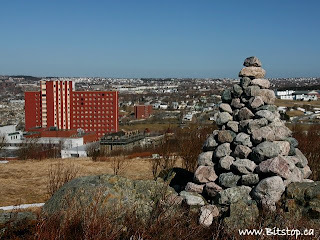 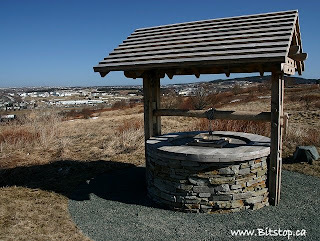 A few photos from the new Geo Park behind the Geo Centre on Signal Hill.